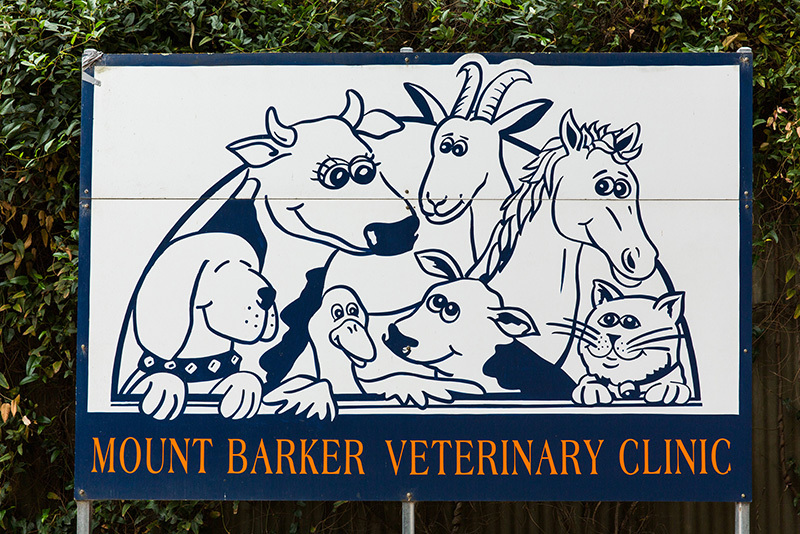 Situated about 2 ½ kms from the centre of Mount Barker in beautiful gum studded rural countryside, Mount Barker Veterinary Clinic was established in 1948. Though initially setup to service the Adelaide Hills Dairy Industry, it has evolved along with the changing land usage from a rural farm practice to a mixed practice of large and small animals mainly now concentrating on small companion animals. Dr Digby Ambrose and Dr van Breda bought and took over the Mt Barker practice in 1983 and as the clinic grew Dr Ashley James joined the partnership in 1988. Dr Digby Ambrose became the sole owner in 2011 and with his wife Miriam set about his long held goal of upgrading and rebuilding the Clinic. In 2012 Miriam co-ordinated and managed the building of the new extensive hospital. In February 2013 we moved the Vet Practice into the exciting newly completed, custom designed and purpose built Veterinary Hospital on the original site. We have taken this opportunity to update and purchase all new equipment and the latest machines for the very best care and diagnostics of your valued pets. Dr van Breda retired in July 2013 and we are lucky to have had Dr Helene Conlon join the partnership in 2013 with Dr Digby Ambrose and Dr Ashley James after working for us for a year. Working in such a lovely and spacious new Clinic has given everybody renewed energy and vigor.